The Big Apple has always been a symbol of hope, freedom and prosperity. 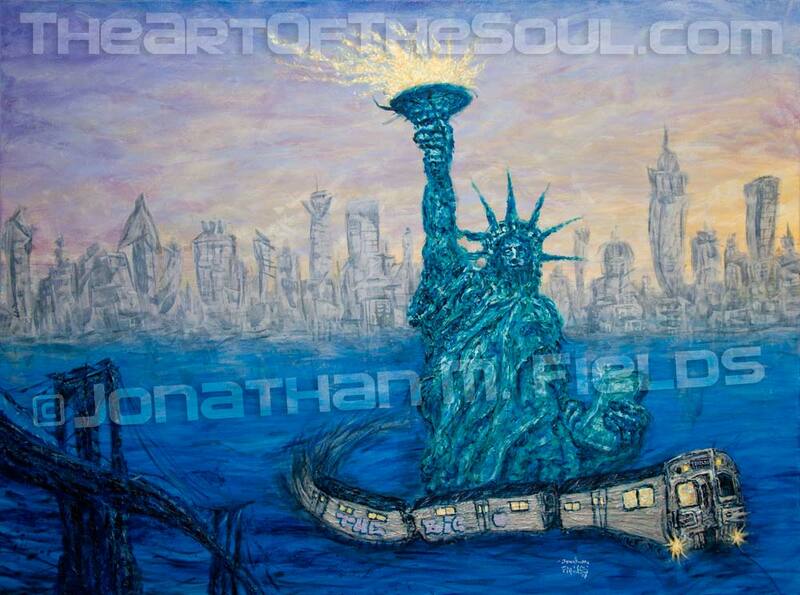 New York City Tribute Painting by J-Matthew comes to life with Printful’s On Demand Digital Printing. Now you can wear it, hang it, or have it on your phone. The T-shirt is all over printed on both sides by Next Level Apparel. All products deliver within 1-2 weeks and have a quality guarantee. Check out more designs by artist J-matthew in the store.